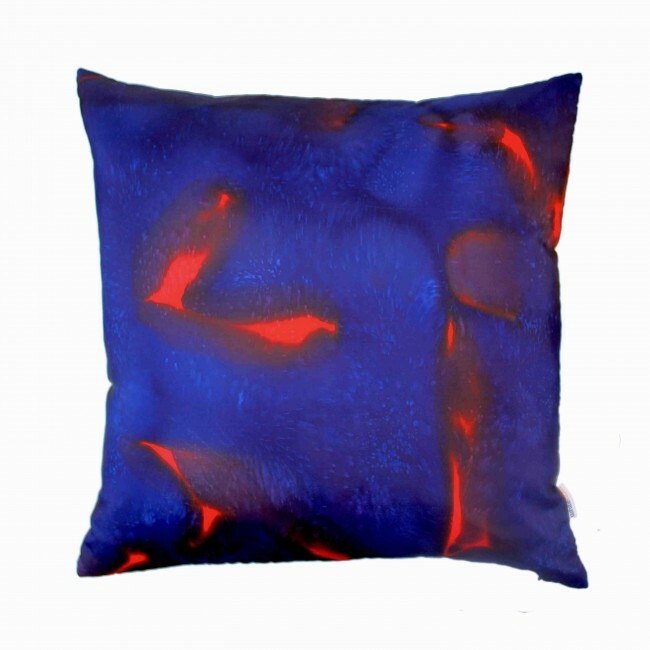 The Scarlett silk cushion is a mixture of vivid red and royal blue colours. 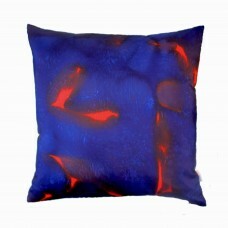 It is individually hand painted onto 100% habotai silk and has a cotton mix backing in navy blue. Feather pad included. 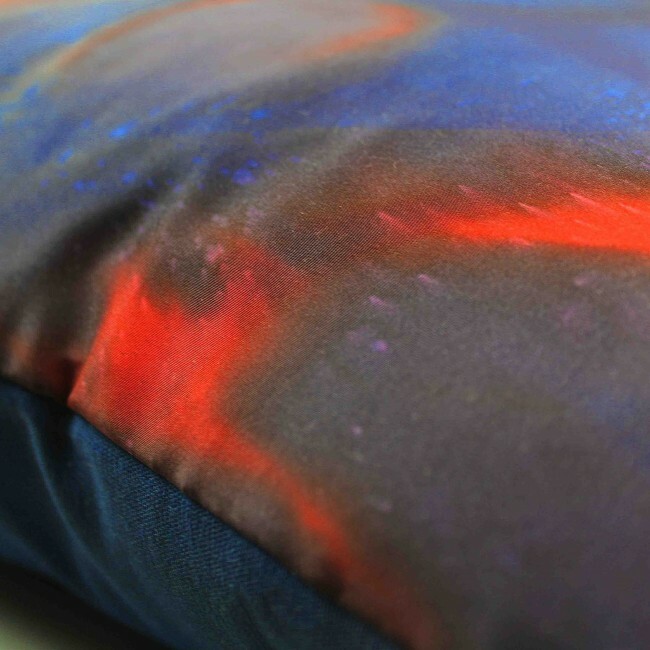 Different shapes, colourways, sizes and backings can be commissioned. 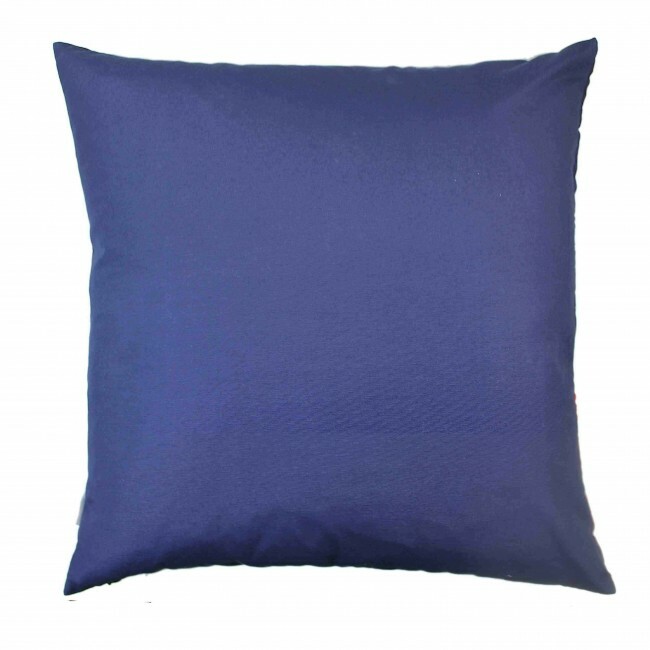 Available in size options above and in colourways: Emerald, Rose, Violet and Amber from the Stellar Collection.